Words have a tremendous impact in this world and they are a necessary medium to carry out worldly interactions with ease. As long as the spoken language remains in normality, only then is it beneficial. 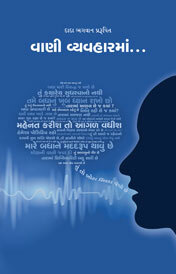 If it goes above or below normality, then such speech becomes harmful to others and to the self. 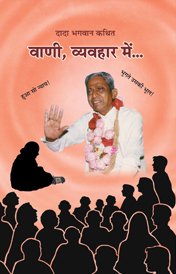 Param Pujya Dadashri has unfolded the science that explains the basis on which and the reason for sweet and bitter speech. When does bitter speech against any person come forth? Bitter speech or hurtful words come forth because one has negative opinions for that person. When the underlying opinions are washed and cleared, the speech improves and becomes sweet. At times you may even think that not saying anything or suppressing your speech is a good idea, but that is not a solution. It is the same as compressing a spring, when the pressure that is built is released it can create an explosion. Instead you should try to reach an amicable solution. At the same time keep the inner intent that you do not want to hurt anybody with your words. You should say things that you would like to hear yourself. Project on to the world, as you would like. Whatever words you throw at others will eventually come back at you. You should speak such that when the words are returned to you, they are not harmful. Words have the power to make or break relationships. Read on to learn more about the impact of words in relationships and watch your way of talking change. Words must be sweet or else they should not be spoken. As long as your speech does not hurt anyone, there is nothing wrong in talking. People have the right to criticize you. You do not have the right to criticize anyone. Words are like money. Give them as you give money, by counting each one. If you want to say something, make sure it is positive. Correct speech is only that which is accepted by the other person. It is speech that suits the other person. You should speak in such a way that the other person will accept your speech. When parents speak recklessly, children will behave recklessly. Children are like mirrors. From them we can see the extent of our mistakes. That is why I tell people that after the age of sixteen they should treat their child like a friend. The world will always improve with love. There is no other solution for it.